March 21st is amazing day for long waited BLINKS. 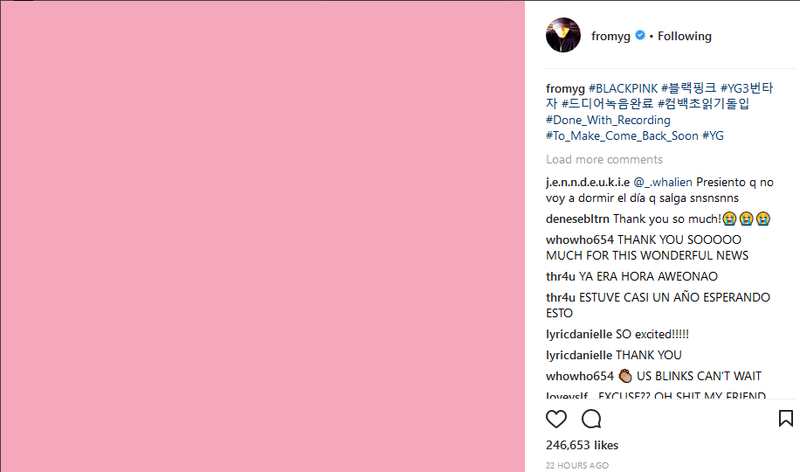 Because as we know from Yang CEO, he has been posted Blackpink comeback. 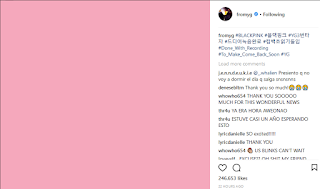 CEO Yang posted a beautiful pinkish image without any image, with the caption Blackpink done with their recording. BLINKS response are very excited, they are giving positif comments and compliments to the CEO. Yay, we can`t wait.